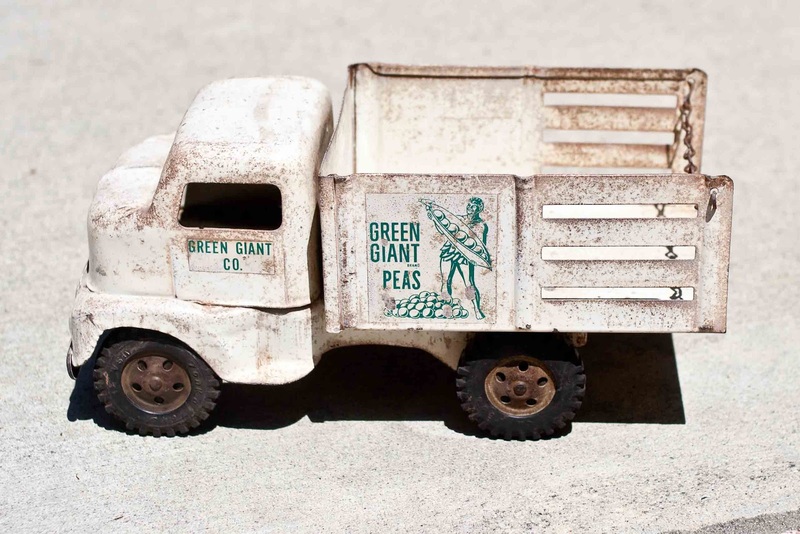 We have a Guest Blogger today! 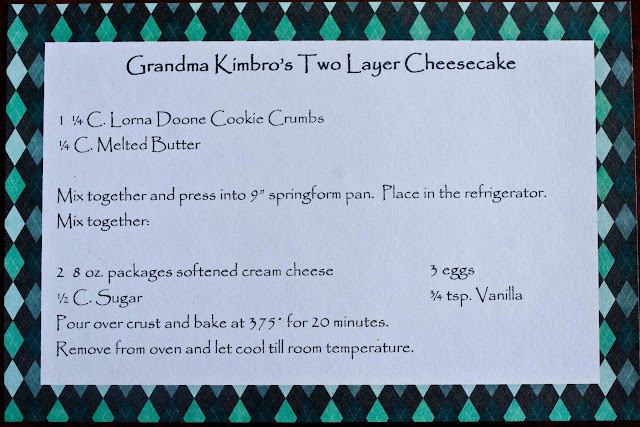 My dear friend, Sue Godinez, is going to show us how to make her Grandma Kimbro's 2 Layer Cheesecake! Grandma Kimbro was the nicest lady I have had the pleasure of knowing. She also had a great sense of humor...I'm convinced it's where I got mine. Grandma and Grandpa lived above their hardware store in Rosemead. I loved going to their house! I was about 15 years old when Grandma taught me how to make her cheesecake. We loved going to Grandma's house for Kimbro gatherings with all the Aunts, Uncles and Kimbro cousins. My grandma passed away when I was a senior in high school. I wish my kids could have met her, they would have loved her! Hopefully, I can be the same kind of grandma to Payton, so she will bug her mommy and daddy to come see Grammy all the time like I used to do to my parents! This is one of the changes I made to Grandma's original recipe. 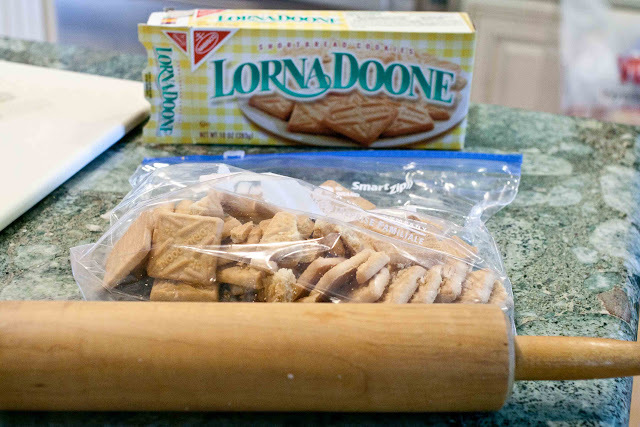 I make a Lorna Doone cookie crust rather than a graham cracker crust. There are two cellophane packages of cookies in each box. I use 1 1/2 packages for a 9 inch cheesecake. 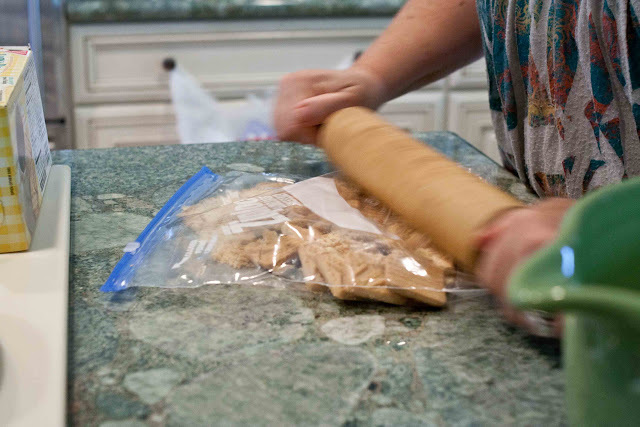 My grandma would just throw the cookies on a bread board and roll over them with her rolling pin until they were perfect crumbs for a crust. 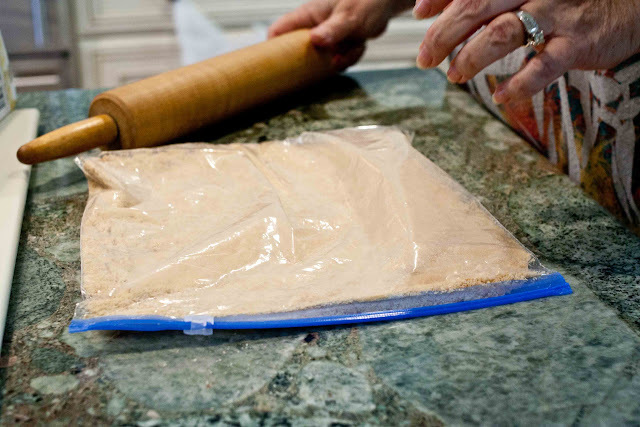 I use a gallon sized zip lock bag for easy clean-up. 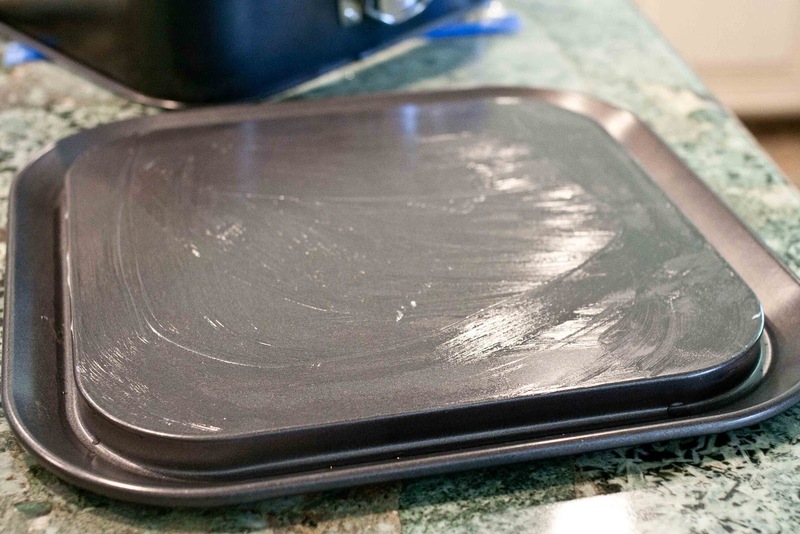 Grease the bottom of your springform pan so the finished product will slide onto a platter easily. 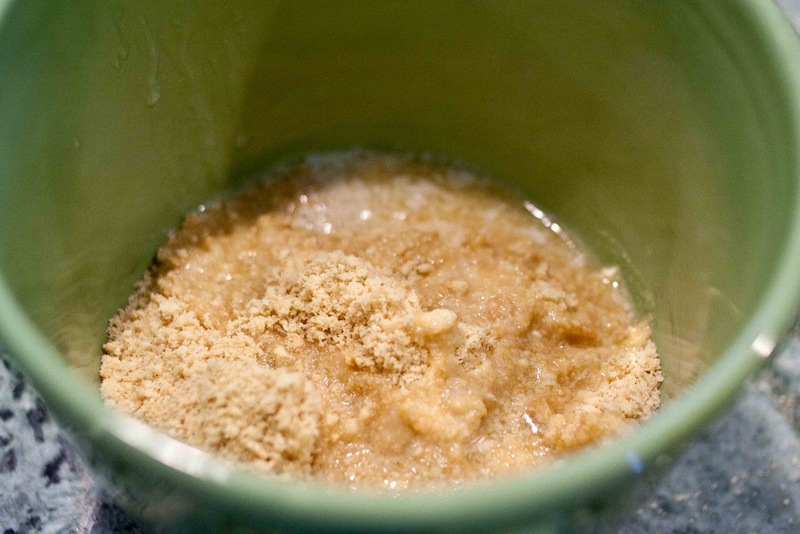 Add 1/4 cup melted butter to the cookie crumbs and mix well. 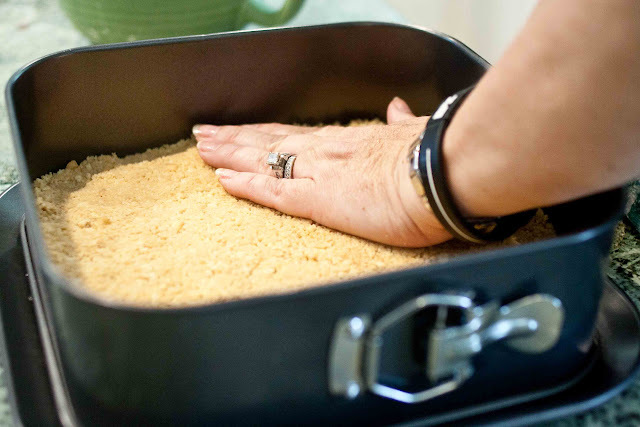 Press firmly into a 9 inch springform pan. 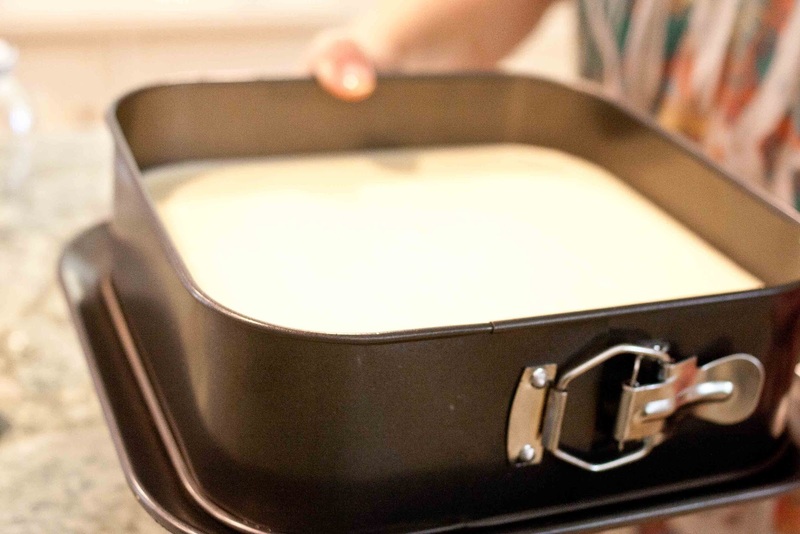 I found this 9 1/2 inch square pan at Home Goods. Refrigerate the crust while mixing the ingredients for the first layer. Make sure your cream cheese is softened before you begin. Mix together 2-8 oz. 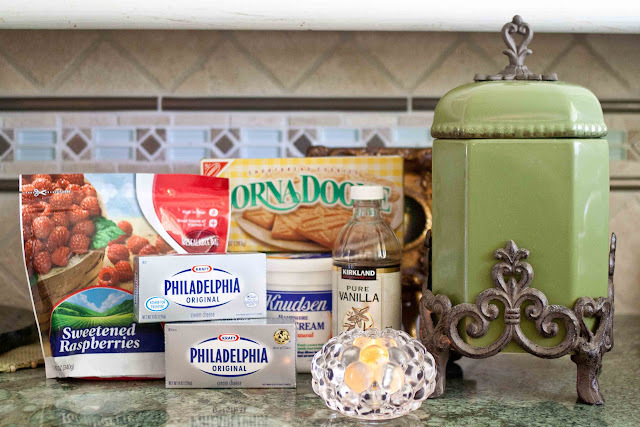 packages of cream cheese, 1/2 cup sugar and 3 eggs. 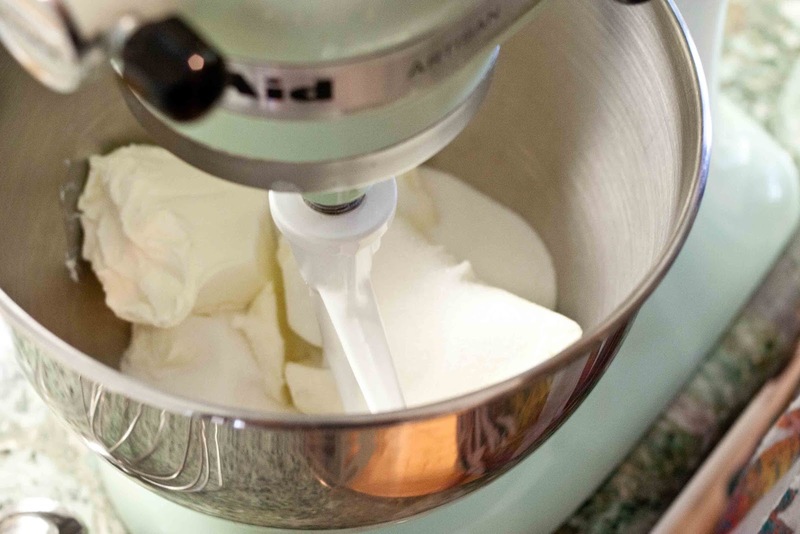 Don't mix too long, just until creamy. Add 3/4 teaspoon vanilla extract. Place in a pre-heated 375 degree F oven for 20 minutes. 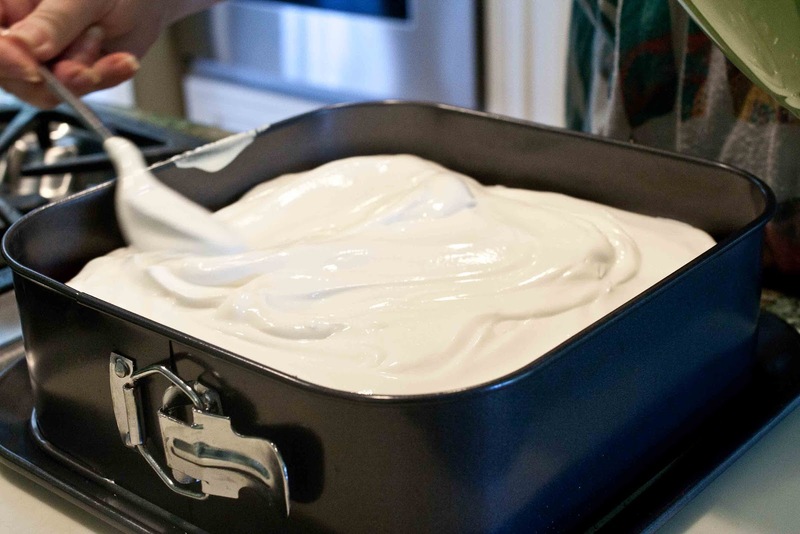 While the bottom layer is baking, mix the top layer. 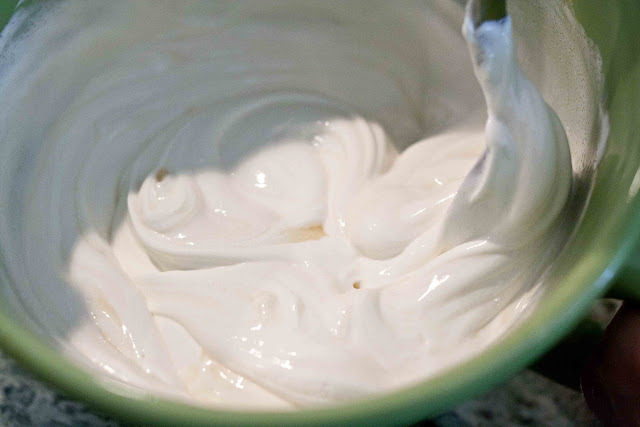 2 cups sour cream, 2 tablespoons sugar and 1/2 teaspoon vanilla. 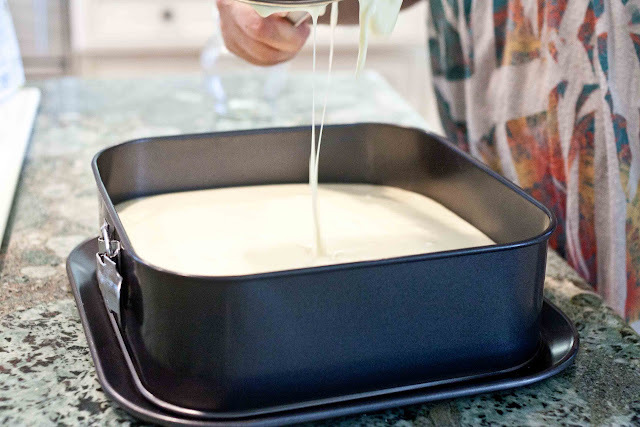 Take the cheesecake out of the oven after 20 minutes and let cool for about 15 minutes. You can read about its meaning here. 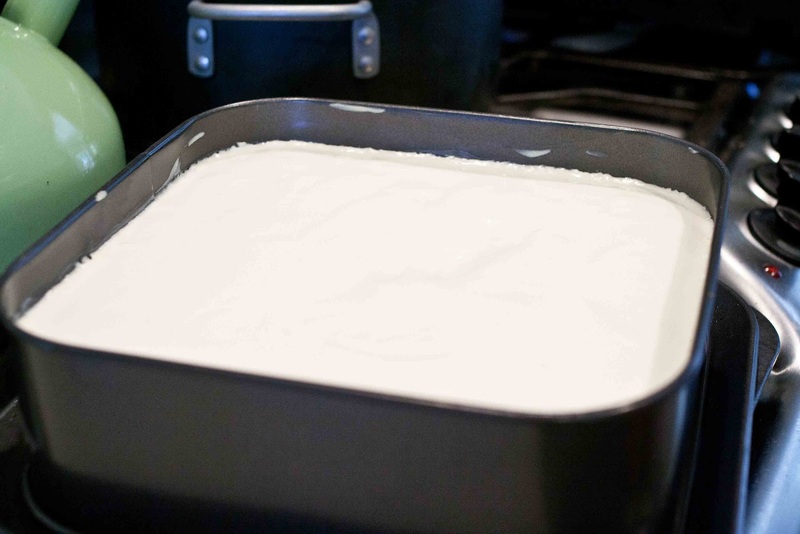 After cooling, very carefully spoon the sour cream mixture over the first layer. 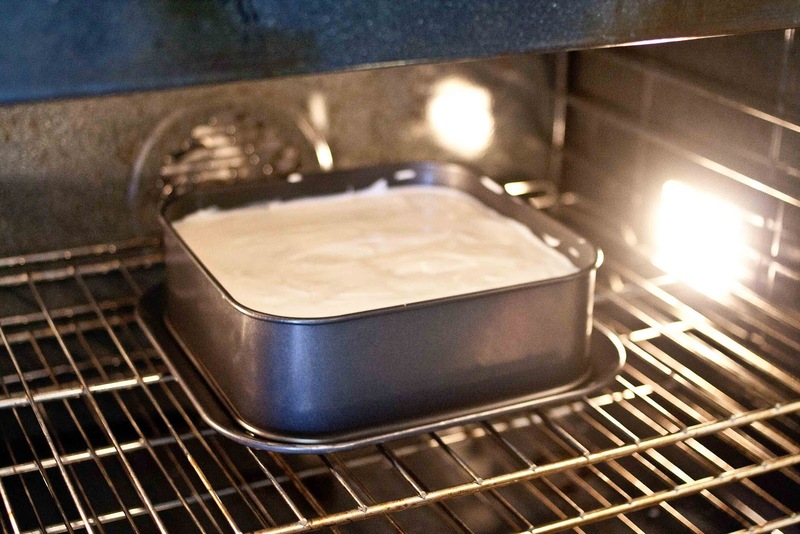 Spread evenly over the first layer and place back into the oven for 10 minutes. While the top layer is baking, make the raspberry sauce. 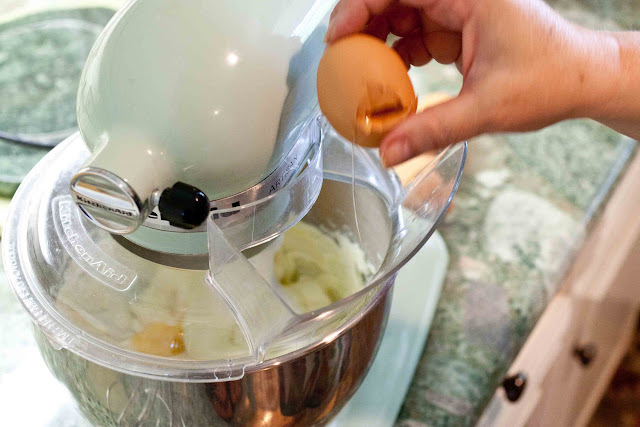 Now for the sauce--pay close attention because here's where it may get a little tricky or complicated. 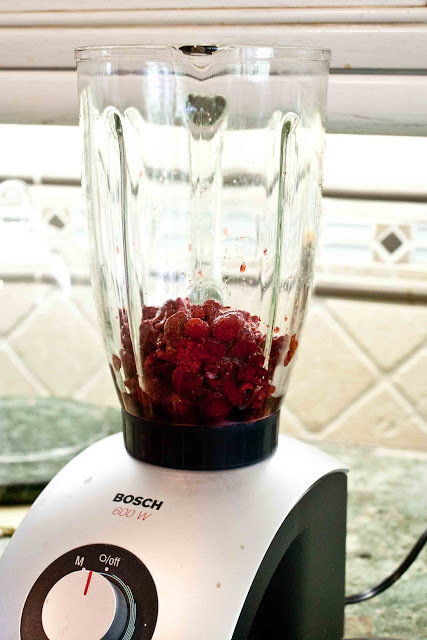 For the raspberry sauce, pour a bag of sweetened frozen raspberries into a blender. 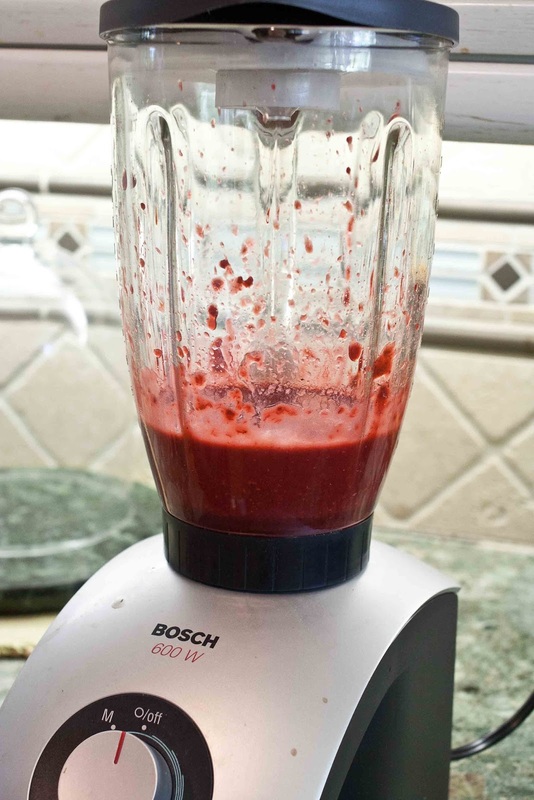 Blend for about 30 seconds, and you're done! 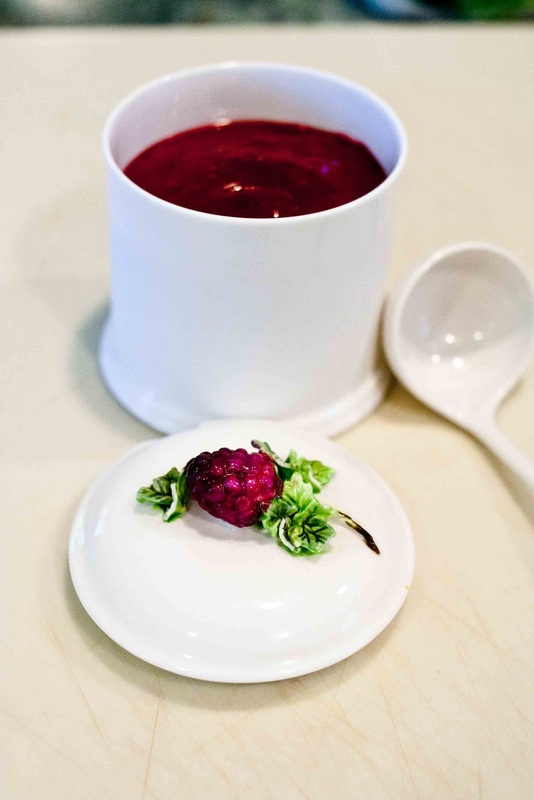 Pour the sauce into an adorable antique container with a raspberry on top. I found this while antique shopping in Victorville, CA with my friend Margie. Let the cheesecake cool to room temperature, then refrigerate for 24 hours. 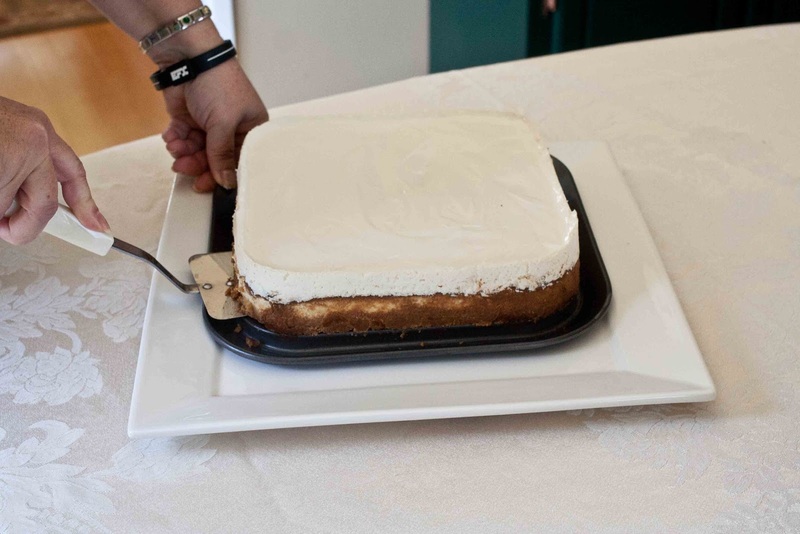 After 24 hours, use a butter knife to separate the cheesecake from the edge of the pan. 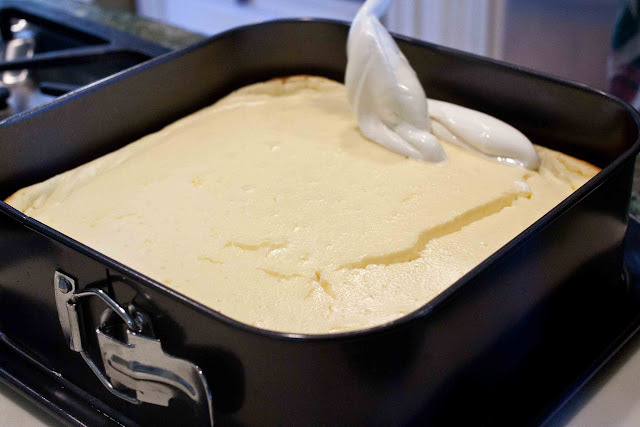 I used a thin spatula to loosen the cheesecake from the bottom of the pan. I did this hoping it would slide onto my platter. 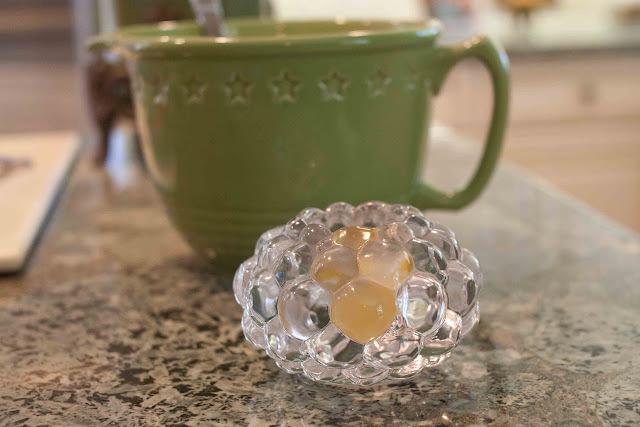 The finished product is so beautiful, you would never know how easy it was to make. 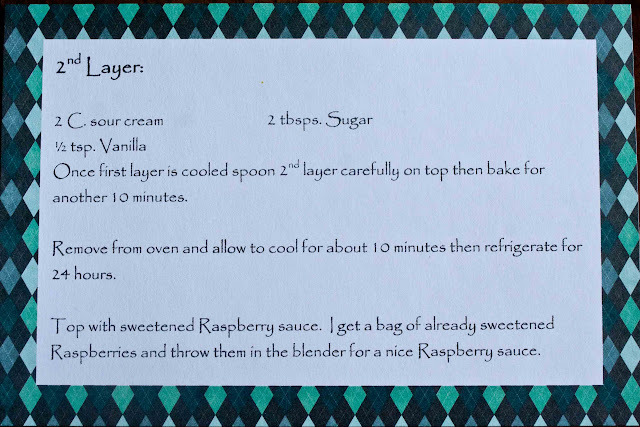 Cut a slice, top with fruit and drizzle raspberry sauce over the fruit or on the plate. Now it's back to me, Karolyn. 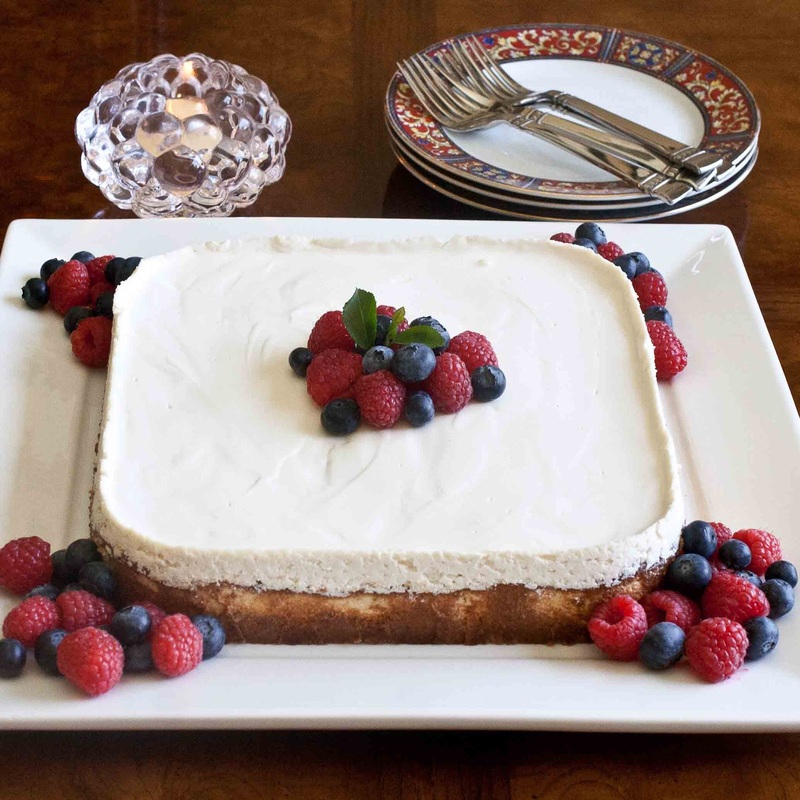 Thank you, Susie, for sharing your grandma's delicious cheesecake recipe! Sue sent me this picture of Grandma Kimbro's 4 boys and the Kimbro cousins. 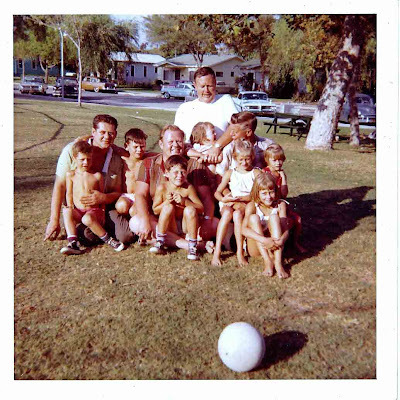 Sue's in the white sundress, sitting on her dad's lap. She's looking for a photo of Grandma Kimbro to share. Sue and I have known one another a long time, I first met her at her wedding. 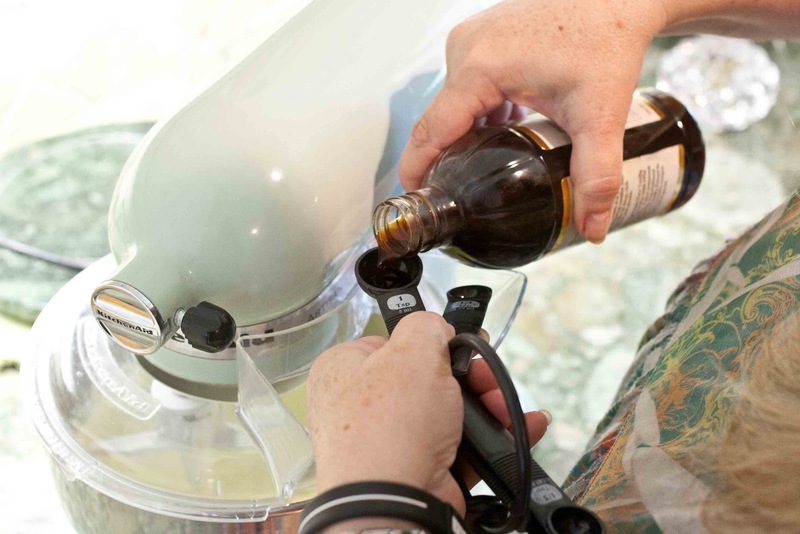 There's a little bit about us on her guest post, German Chocolate Cake. 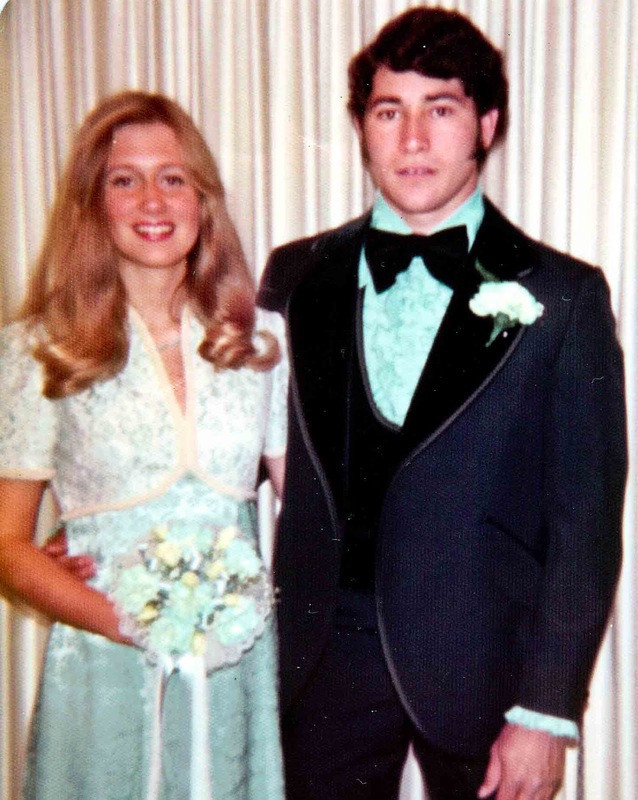 Sue and her husband Rick began dating when Sue was 15, they were high school sweethearts. 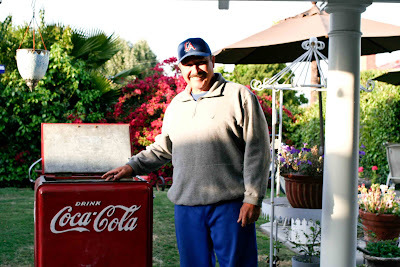 Rick came from Mexico with his family when he was 6 years old. He's got 13 brothers and sisters. When Rick was in junior high, he became friends with my brother-in-law Eugene. 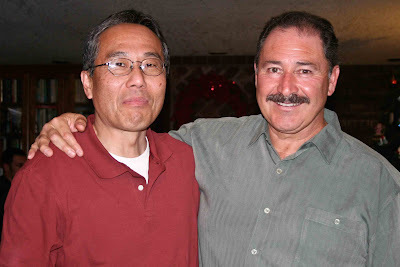 Rick credits Eugene with his assimilation into American culture--from day 1, when they were in class together, Rick says Eugene took him under his wing and Rick is grateful to this day. Up until then, Rick says he was not comfortable in school. I love listening to him talk about Eugene with admiration, respect and gratitude. Here's a photo of Rick and Eugene taken a couple of years ago. A few years ago, Rick told Eugene how much he meant to him growing up--Eugene had no idea, and couldn't remember teaching Rick. What Eugene did is lead by example--Rick followed his example. That's how Rick leads his life, too, leading by example. Rick's one of my favorite people. He's a teacher and a coach, has been for years and years. Whenever we go out together, former students approach him and want to shake his hand. 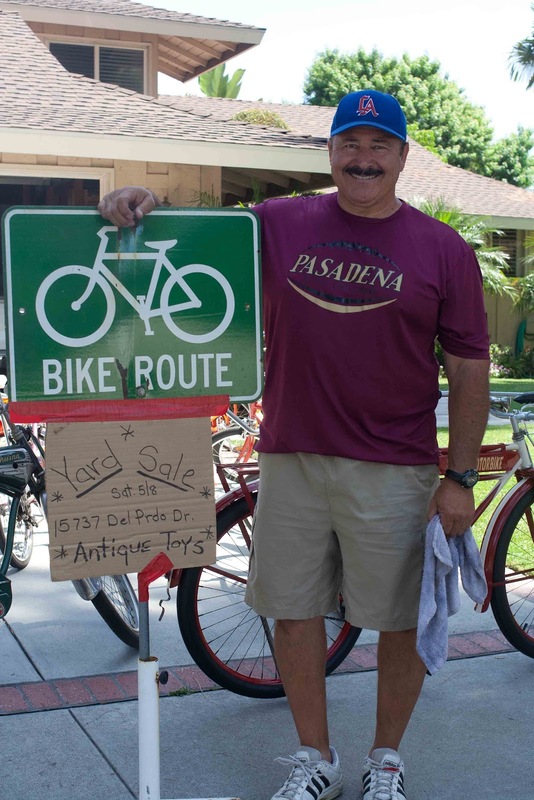 A former student happened to be driving by his house one day while Rick was outside in his front yard. The student stopped to tell him how he had listened to the advice Rick gave him in high school--how it changed his life--he had to stop and express his gratitude. Rick said he gave simple advice--stay out of trouble and get a college education. His favorites are vintage Schwinns. He finds parts and pieces at swap meets and garage sales, and enjoys restoring and rebuilding them. 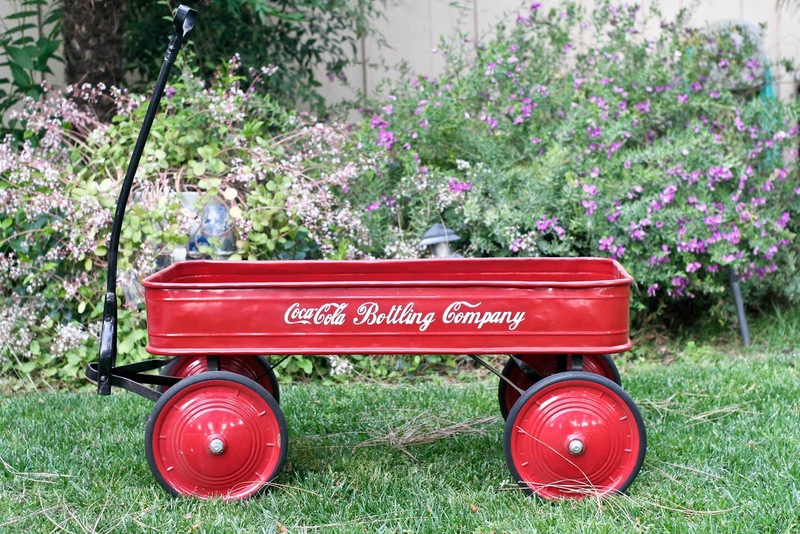 He likes the vintage metal ones from the 1950s and 1960s. He painstakingly and lovingly restores them. He had these toys in his yard sale. I think he's perfectly happy if nobody buys them. 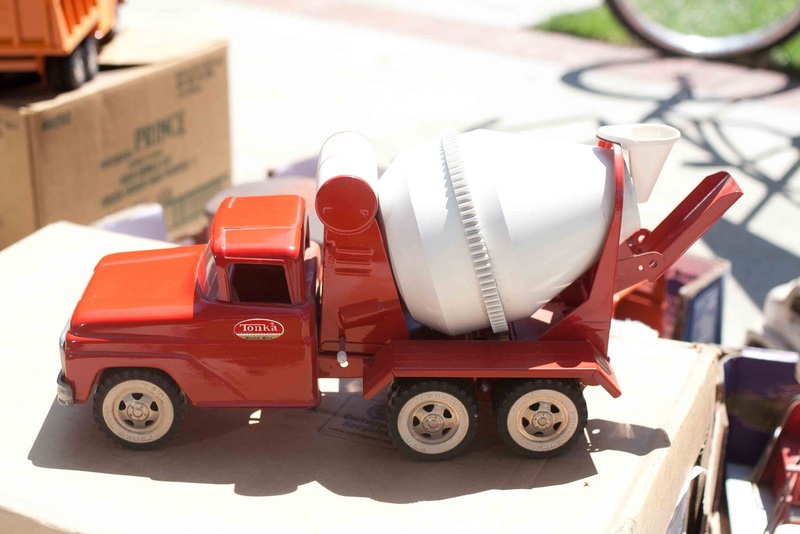 Most of the people that stop by are the ones that like toys too. Rick also likes anything vintage Coca Cola. 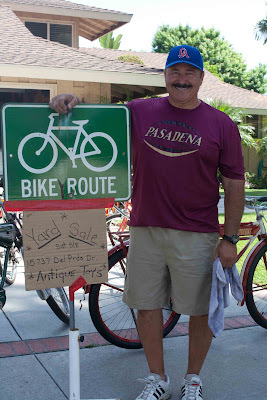 It's a lot of fun listening to Rick talk about his latest finds and restoration projects. He gets so excited when he talks about his treasures--you should see his eyes light up when he talks about chrome! 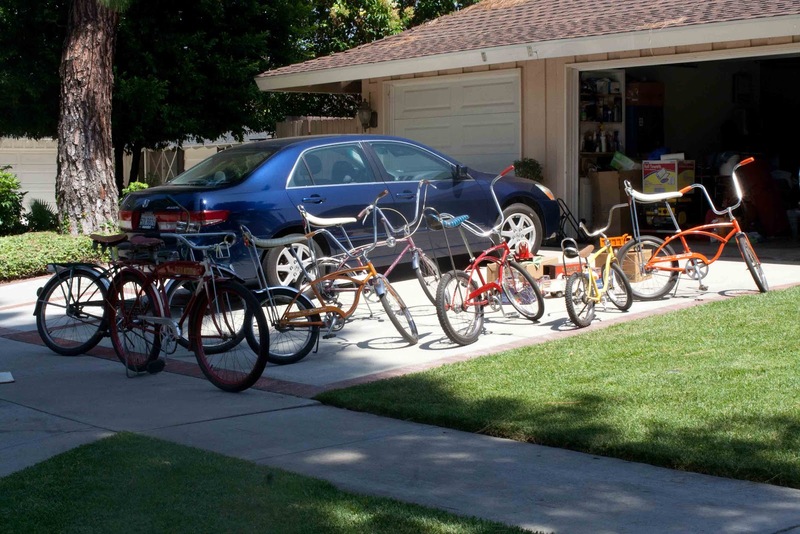 The thing I admire most about both Rick and Sue is their generosity. They're generous with their time, home, and hospitality. I know that, because I am their friend, my family and friends are also welcome in their home and are treated to their hospitality. On my daughter's wedding day, Rick and Sue hosted the groomsmen for a wonderful luncheon and opened their home so the boys could ready themselves for the wedding. 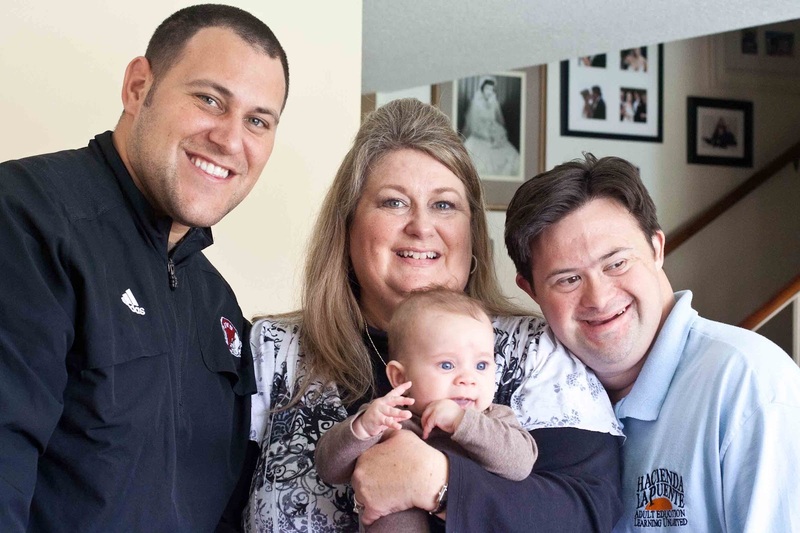 Rick and Sue are wonderful friends, I am grateful for their presence in our lives. 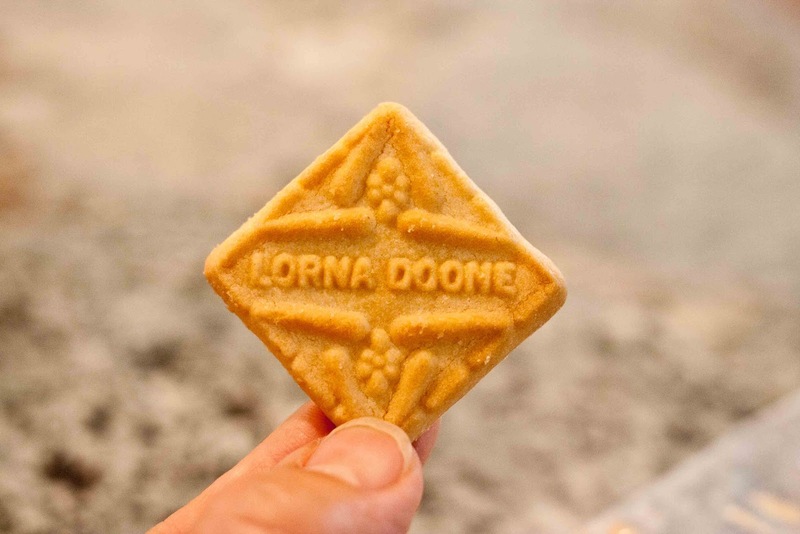 Lorna Doone cookies - I've forgotten how much I use to like those cookies! Decadent!!!! 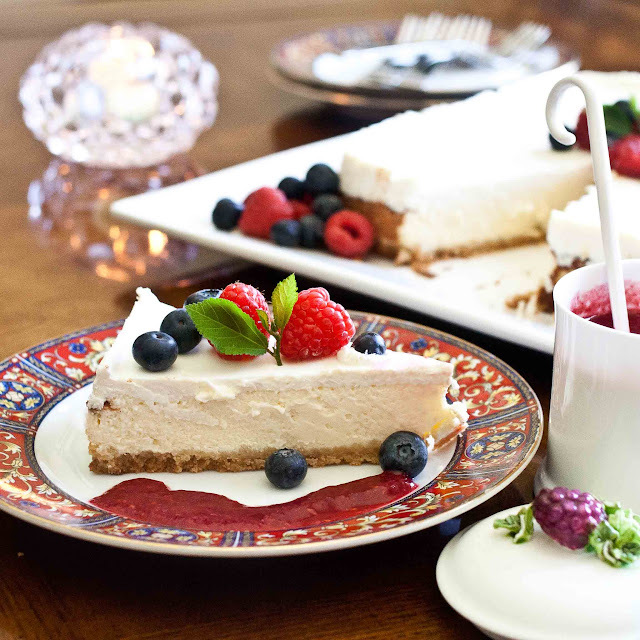 Cheesecake is so beautifully presented!!! ...... all gone? Enjoyed reading about Sue and Rick. I love Lorna Doone cookies!!! What an excellent idea! Thanks, Sue! And as always, thanks, Karolyn, for a sharing such a wonderful memories! 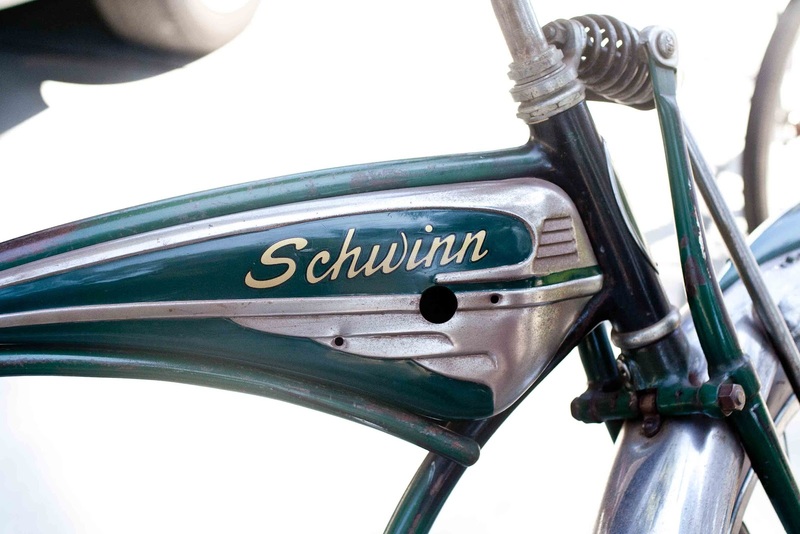 Oops...where did that extra "a" come from?!! Looks amazing, and I love the use of those cookies, genius!!!! 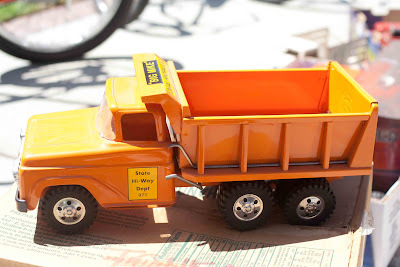 I like all the vintage collectables too. 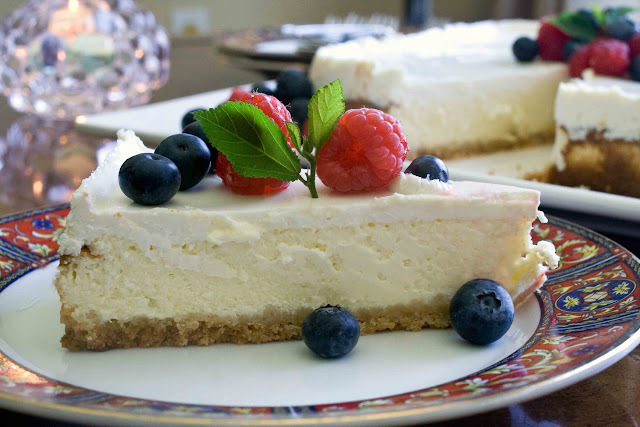 Such a beautiful cheesecake & I love the use of cookie crumbs. What a nice tribute to Grandma, and also to your friends Karolyn. I enjoyed reading this and just love your photography. 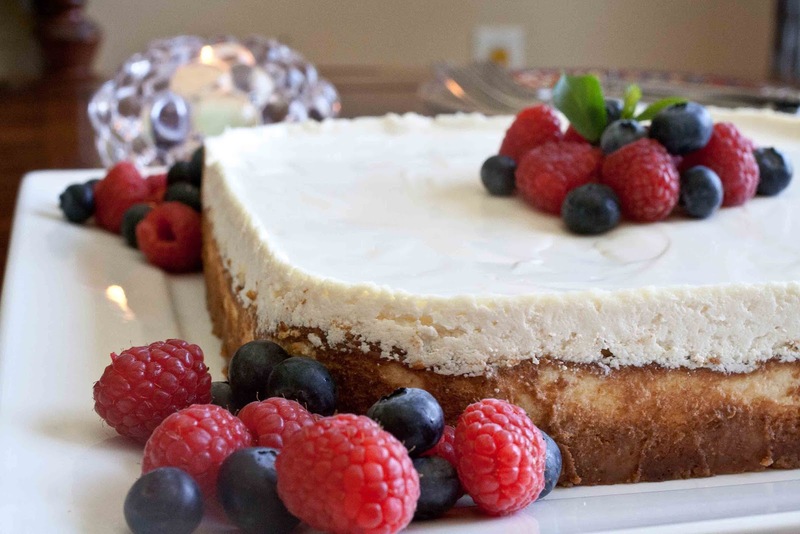 Oh, and the cheesecake? Mouthwatering!